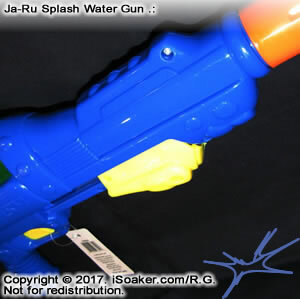 The "Splash Water Gun" is a small, spring-based water blaster released by Ja-Ru in 2017. 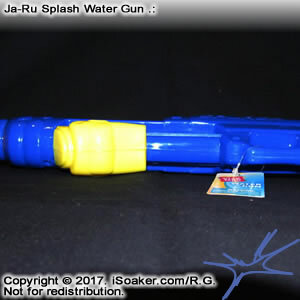 I am not 100% sure that this water blaster is truly referred to as the "Splash Water Gun", but the word "Splash" appears on its side, hence iSoaker.com will refer to this blaster as such until we learn otherwise. 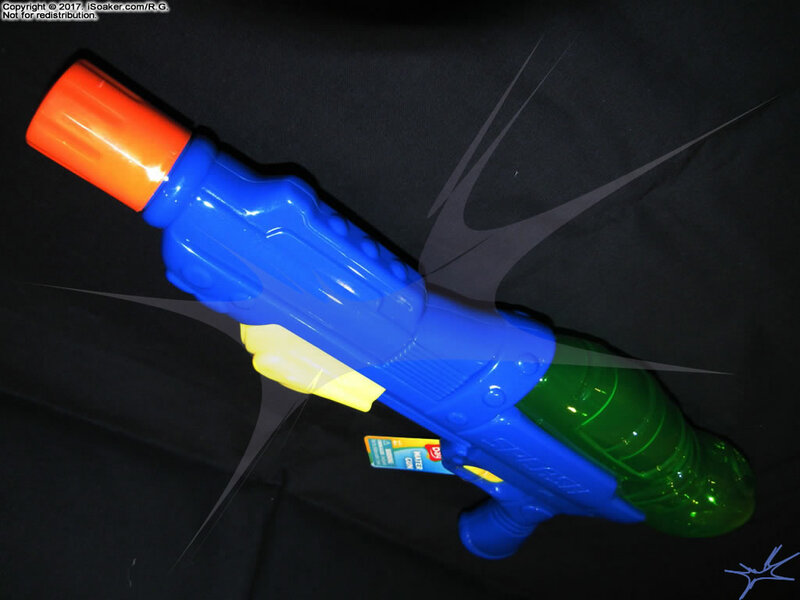 As I found that this water blaster actually uses a spring-loaded mechanism, I opted to pick it up just to see how well it performs. 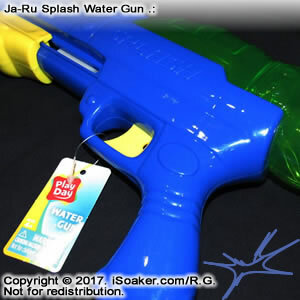 Ja-Ru actually manufactures a wide assortment of water blasters, but typically they make the smaller "dollar store"-type squirt pistols of various shapes and uniformly coloured plastics. 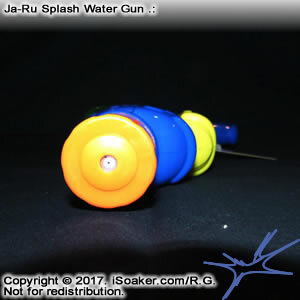 That said, I believe this is the first Ja-Ru product I have specifically purchased for testing purposes. 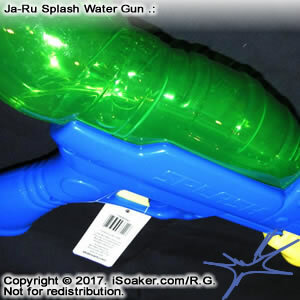 The "Splash Water Gun" has no packaging, being presented in an open box in a variety of colours, each with a hang-tag that has pricing information and a bar code for scanning at the store. 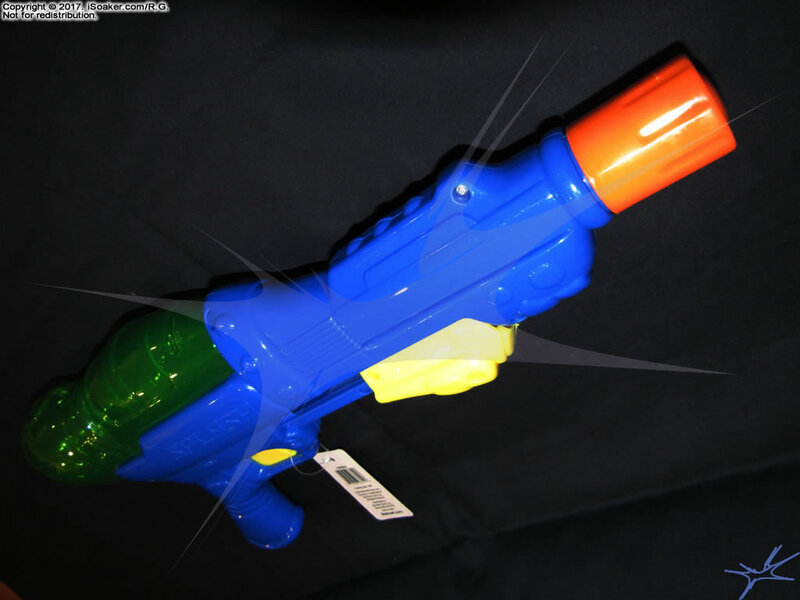 Because of this, it is easy for the blasters in these boxes to hit and damage each other. 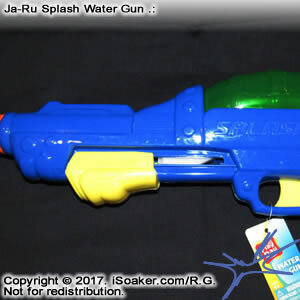 In my haste to leave the store, I had not paid close enough attention to this particular blaster as my "Splash Water Gun" is missing its reservoir cap. 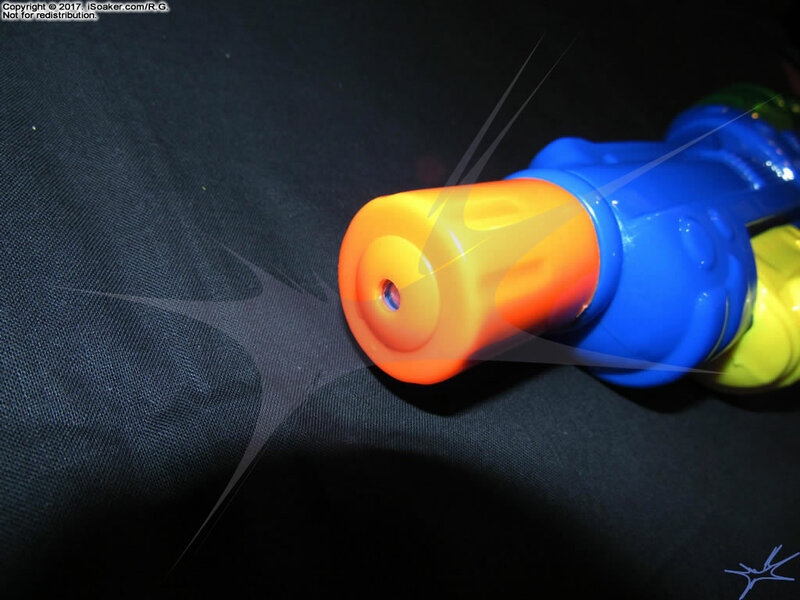 Likely a form of plug-cap, it must have been knocked or pulled off at some point. 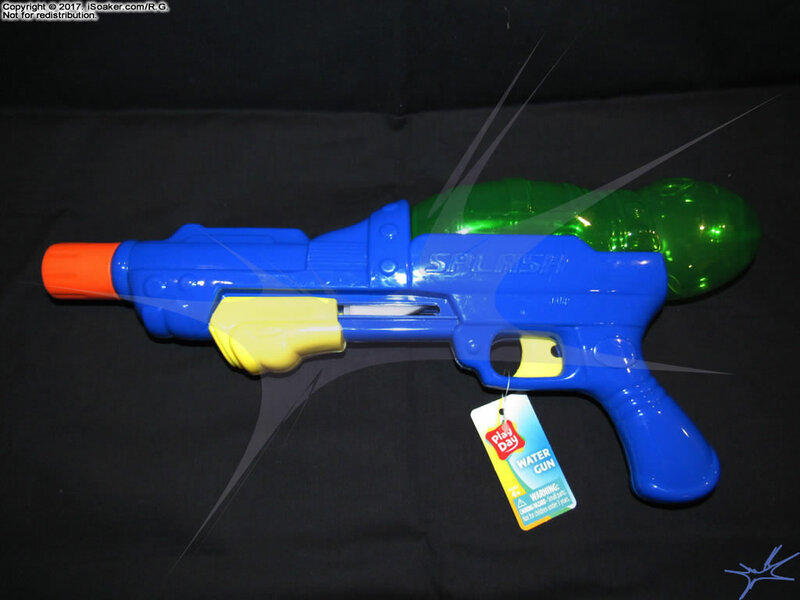 This serves as a reminder: Buyer Beware! 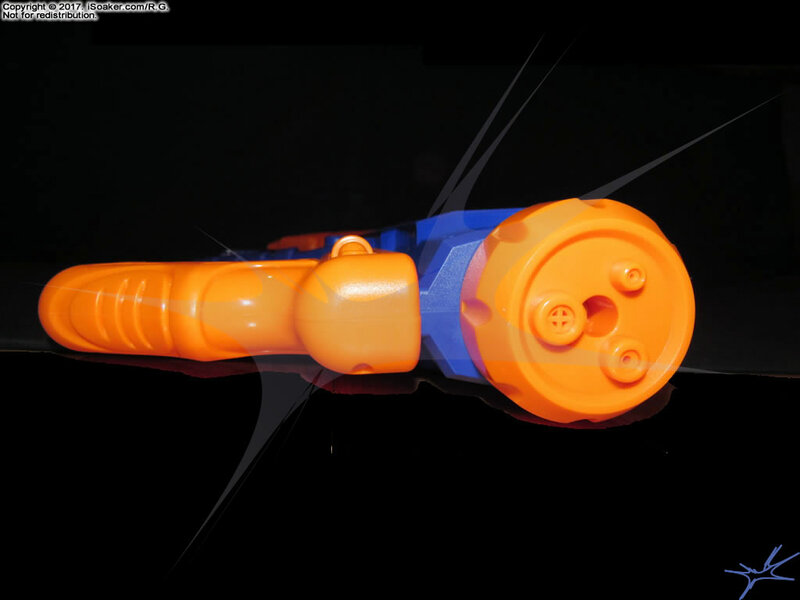 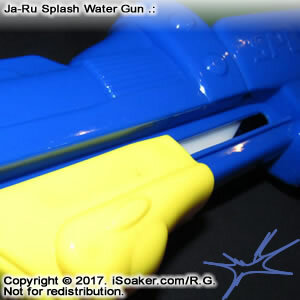 The "Splash Water Gun" design is reminiscent of older-space-style water guns more common in the late 1970s and 1980s. 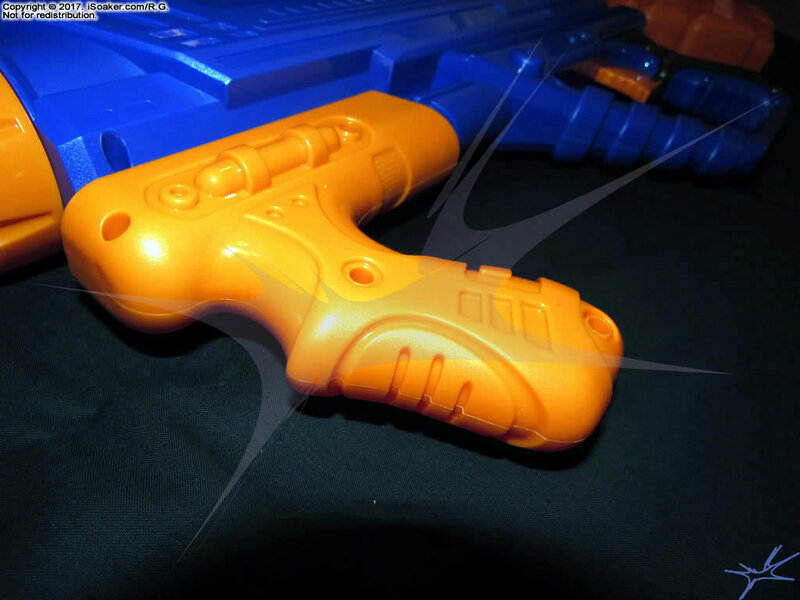 Nevertheless, the form adequately reflects its function with its pump, trigger grip and reservoir all looking and feeling their part. 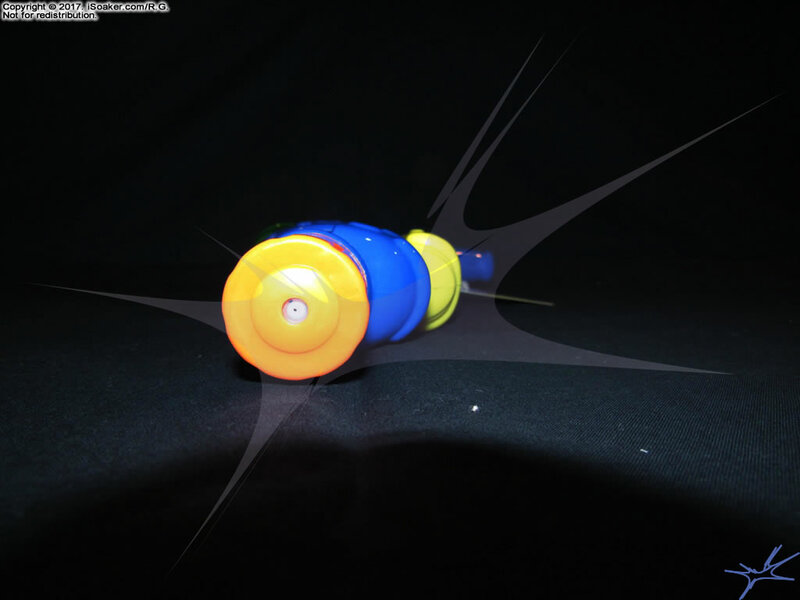 The plastic is neither particularly robust nor cheap-feeling, either, though the plastic on the reservoir is on the thinner side. 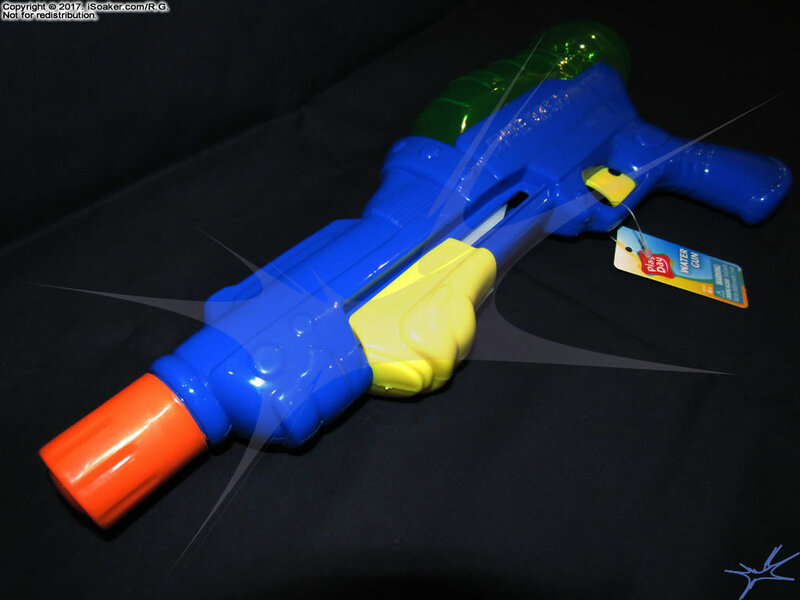 However, this water blaster feels decent in one's hand. 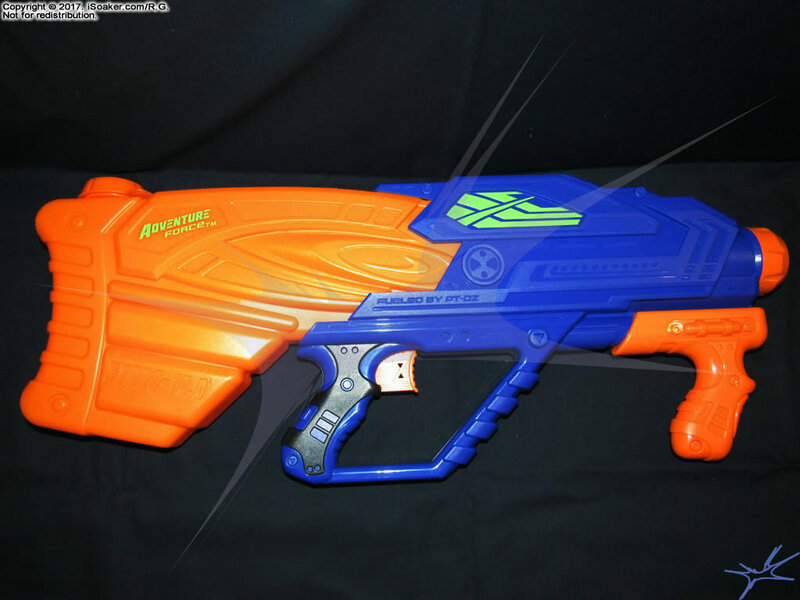 The pump grip is a touch on the small side. 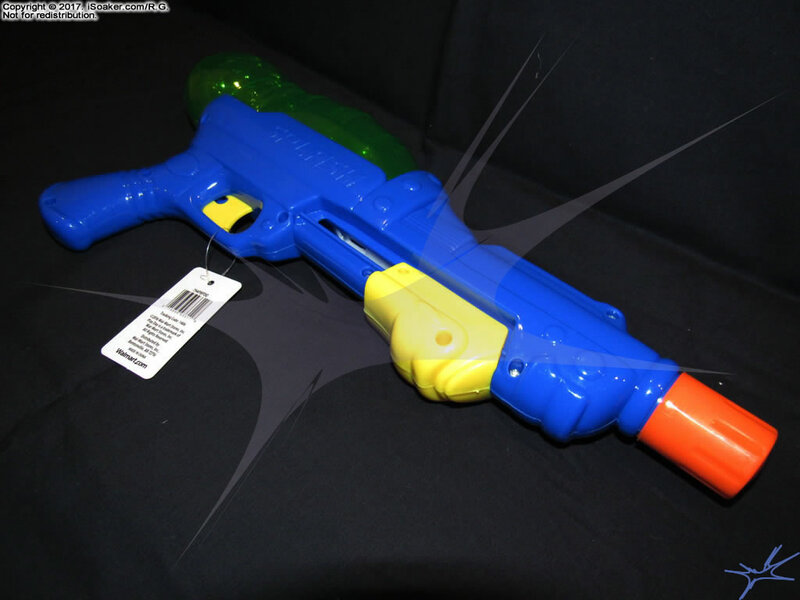 Given the strength of the internal spring, it would have been nicer had there been more space to grip the pump. 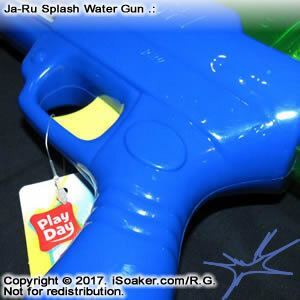 If the pump if not pulled all the way, the "Splash Water Gun" will shoot without needing to pull the trigger. 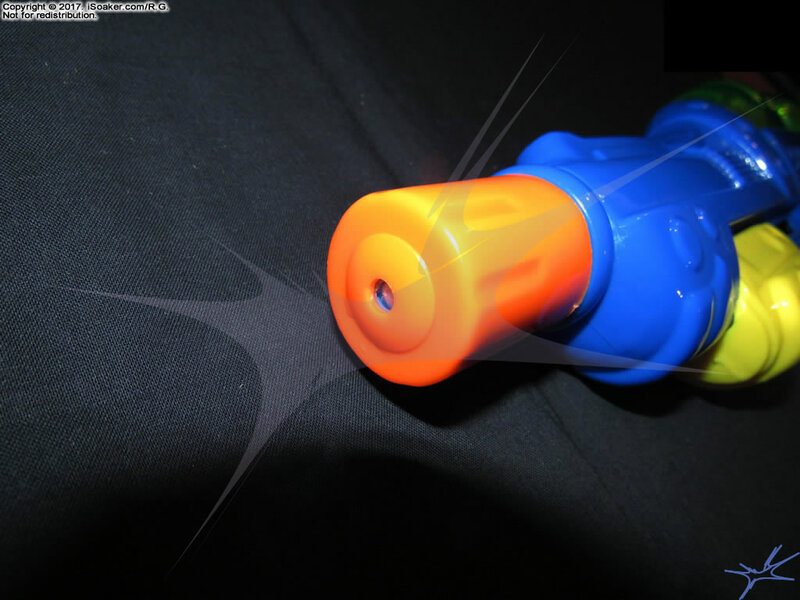 The trigger generally catches once the pump is pulled completely, but I am not sure how long the internal plastic catch will survive after multiple uses. 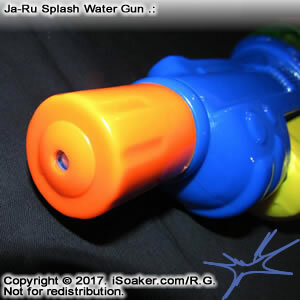 The reservoir cap for my "Splash Water Gun" is missing, but the spot where the reservoir cap attached is slightly indented. 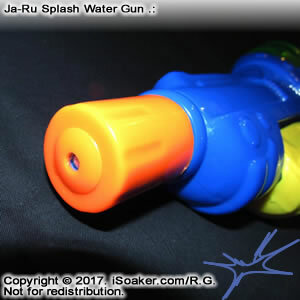 While this, perhaps, was done so that the cap would sit more flush with the top of the reservoir, this indent along with the small opening size of the reservoir port means that it is all but impossible to actually properly empty the reservoir after a battle. 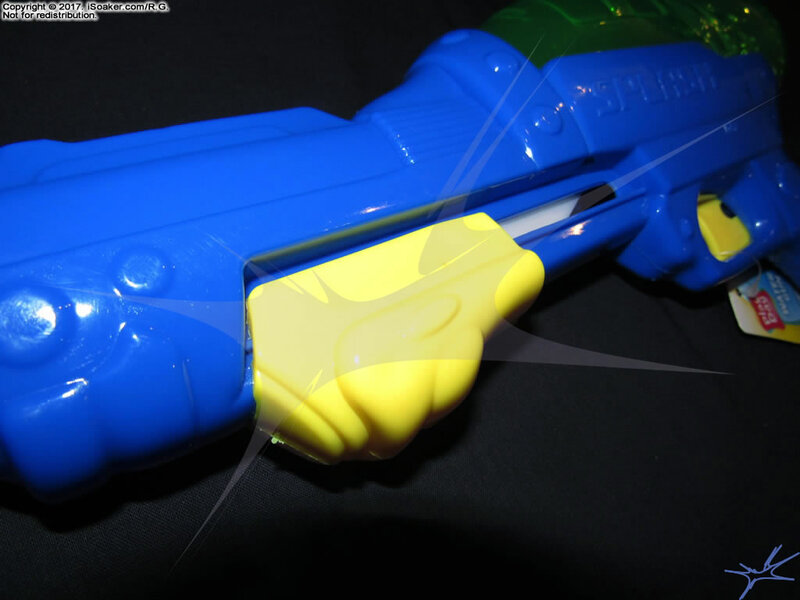 Water does not freely flow from the reservoir as it is due to the small opening, but the indent in the reservoir actually traps a few drops of water inside that is too little to be pulled into the pump's intake tubing, yet also unable to mount the bump when the blaster is turned upside-down. 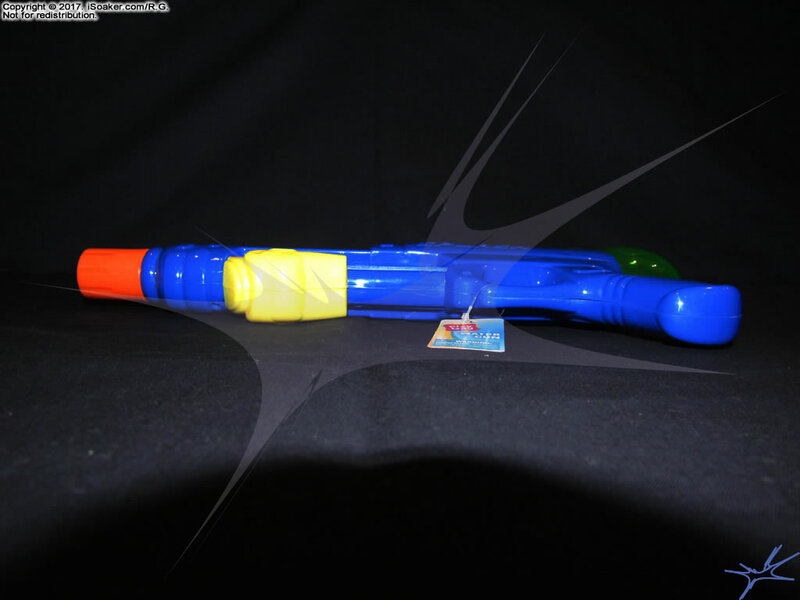 As such, the only was to dry out the inside of the reservoir is to shake out as much water as possible, then leave the "Splash Water Gun" with the reservoir open on its side and wait for the remaining water to evaporate. 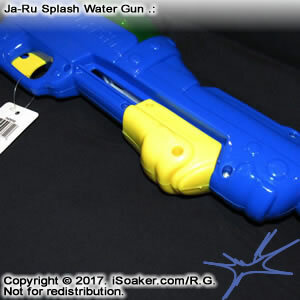 While the "Splash Water Gun" uses spring to power its stream, the size of the nozzle already forewarned me not to expect too much in terms of output. 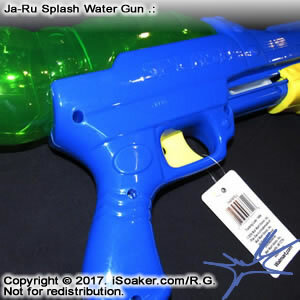 This prediction was confirmed as the "Splash Water Gun" is even outclassed by the already underwhelming spring-powered Nerf Super Soaker Flash Blast (2013)! 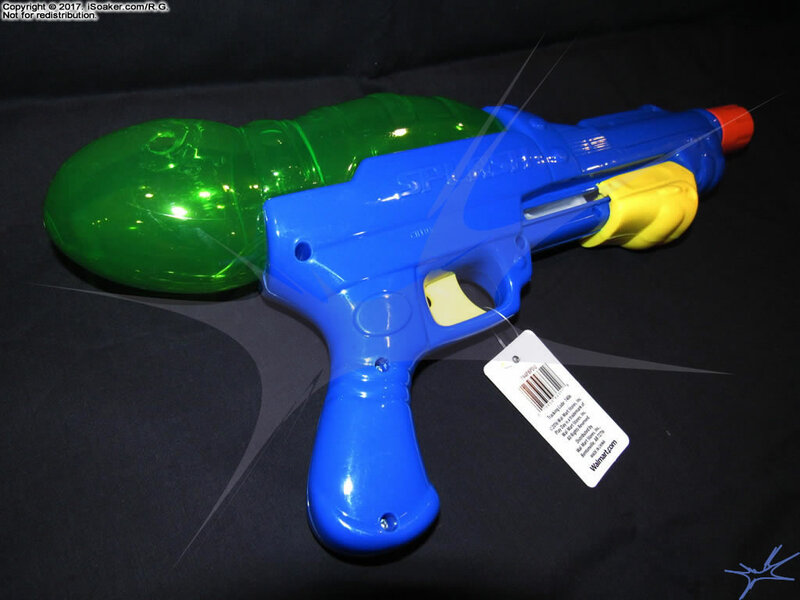 Considering the stream lasts for less than a second, then needing the pumped to be primed again to blast, the functional output is even lower. 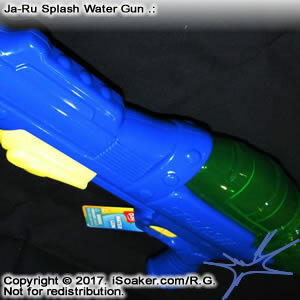 The stream produced by the "Splash Water Gun" is extremely thing and lacks much force. 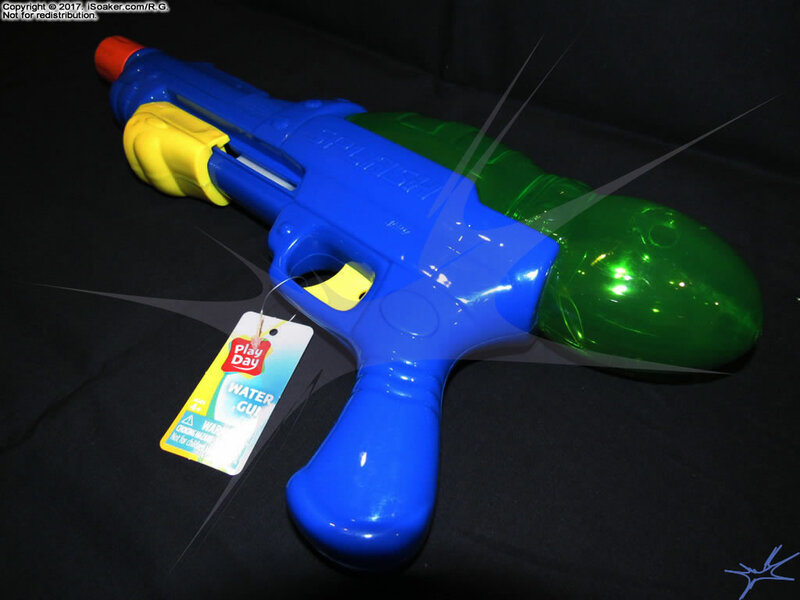 While it is spring-powered, it could probably be outclassed by most trigger-based water guns. 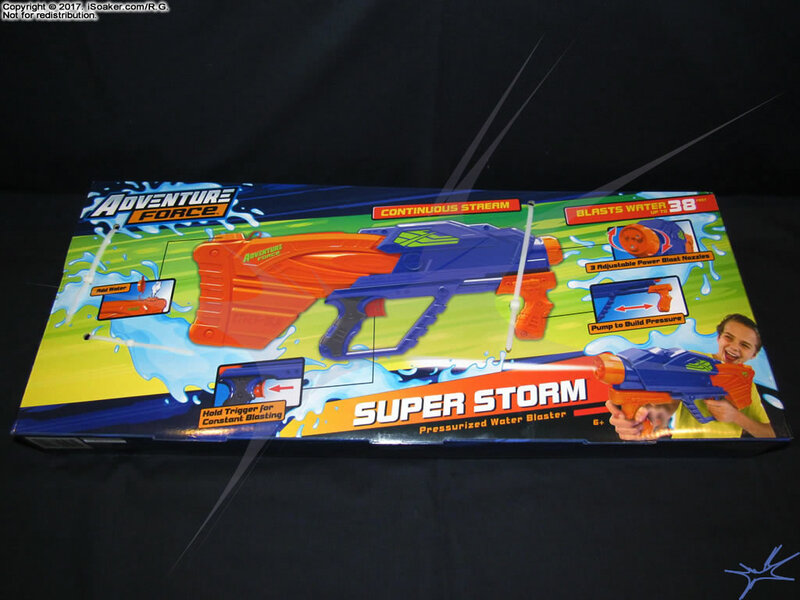 While I have yet to do range testing, I do not expect any real surprises in the distance department and predict the stream will be readily affected by the presence of any wind. 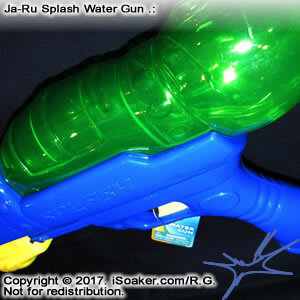 Overall, the Ja-Ru "Splash Water Gun" is a curious novelty-like water blaster that uses technology that offers more potential, but its execution in this form leaves much to be desired. 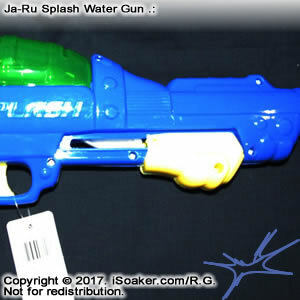 While capacity is decent for a water blaster of this size, its output and relative rate-of-fire have a lot of room for improvement. 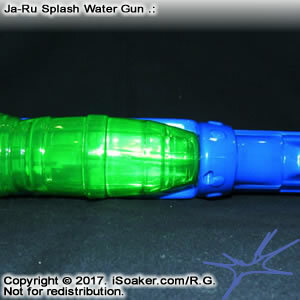 The "Splash Water Gun"'s lack of packaging also means one should be careful (more observant than I) if planning on picking up one for yourself to ensure yours comes with a reservoir cap. 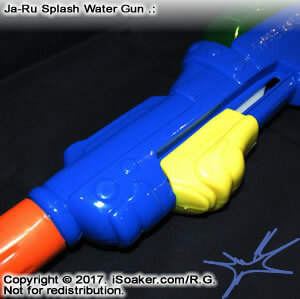 Now that I know how it feels and performs, I really cannot recommend the "Splash Water Gun" for most water fights. 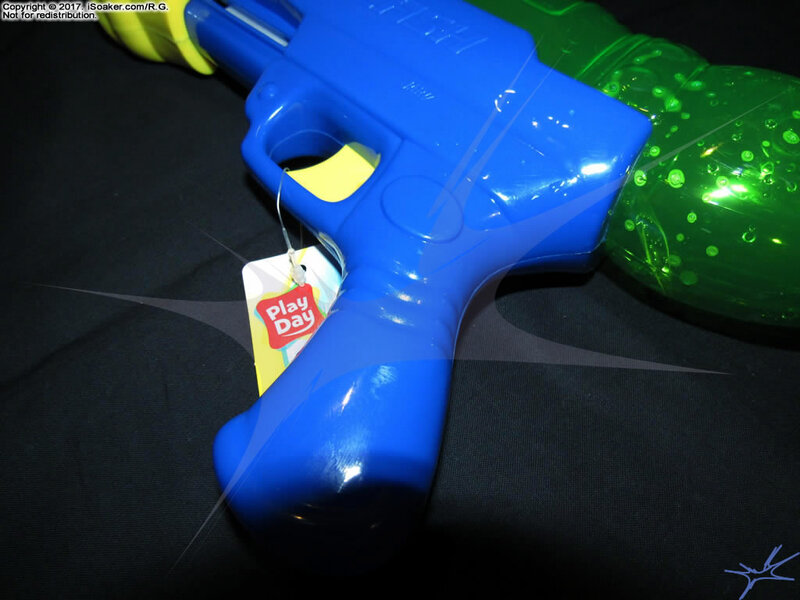 Perhaps of interest mostly for collectors, those seeing a decent water blaster are better off looking elsewhere. 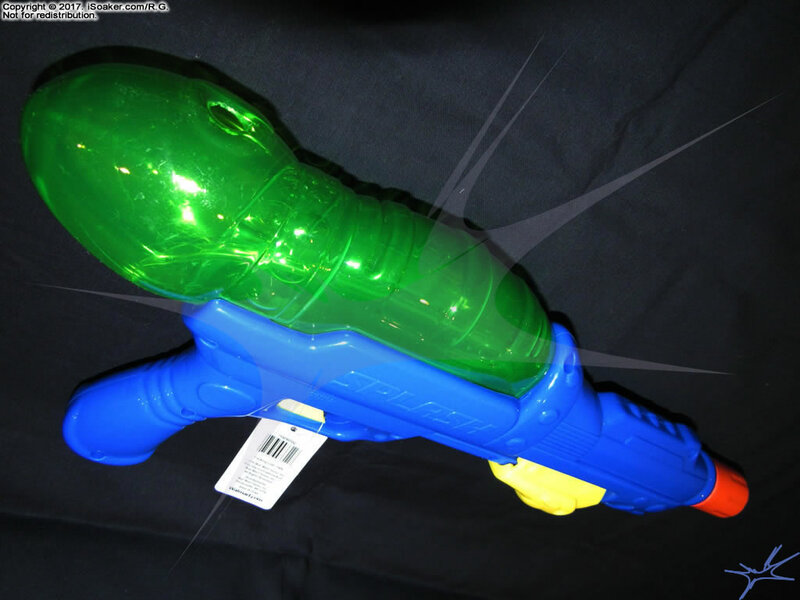 Spring-based elastic-pressure technology; decent capacity for a water blaster of this size.